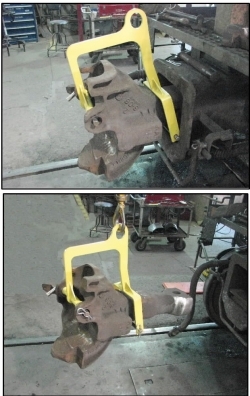 Designed to Lift the 304 rotating couplers. 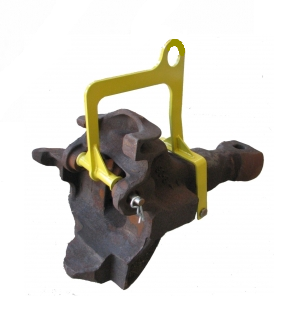 After removing the knuckle and cross key or connection pin, turn coupler one quarter turn clockwise by hand and attach the coupler lifter, securing it with the two fixture attachment pins. 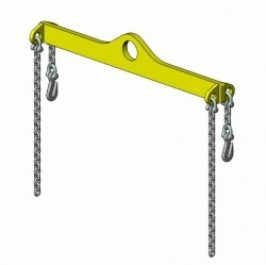 Side Bearing Cage Wrench Set – The long handle on this wrench set allows simple access to the 1 1/8″ nuts used to secure the Side Bearing Cage to the Truck Bolster. The wrench is equipped with both straight and offset wrench ends to allow access to any fastener configuration. Use this tool to plug the bottom outlet on number 8 vent valves when performing an air test. 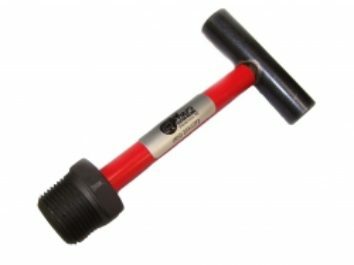 ( 1″ Pipe Thread ) .The handle is covered with red reflective tape to serve as a reminder to remove the tool after an air test. The “T” handle provides quick, easy installation and removal. Available with a 3/8″ Pipe Thread. Refer to part number 0336-1.